At this time of year it seems popular to look back over the year you’ve had, so I thought I would take a look back at 2011 from the point of view of each wedding I have shot over the last 12 months. I have chosen one photograph from each wedding that has a personal meaning to me, and written a little about why. They are not always the best technical pictures, or sometimes even shot by me, but I don’t really think that is what wedding photography is all about. To me it is about capturing the moments that happen in a day and the mood and feel that surrounded them. The year kicked off in February with Victoria & Andrew. I love the feeling of hustle and bustle in this moment, this wedding was going ahead whatever mother nature said! It also reminds me of the moment they got back into the car after the ceremony only to realise the Vicar hadn’t signed the marriage certificate and they were not actually married! 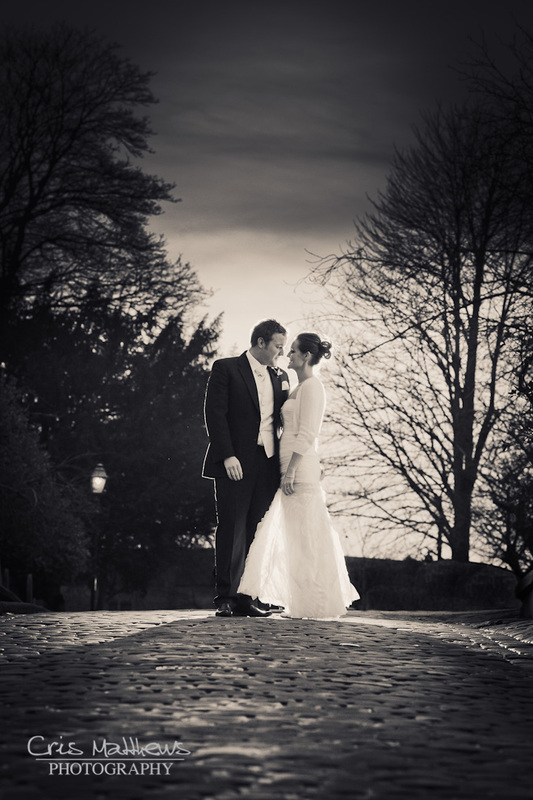 This picture of Nicola & Alex taken at Inglewood Manor really does sum up the goal I have at every wedding. Capture the bride looking stunning and having a great time. 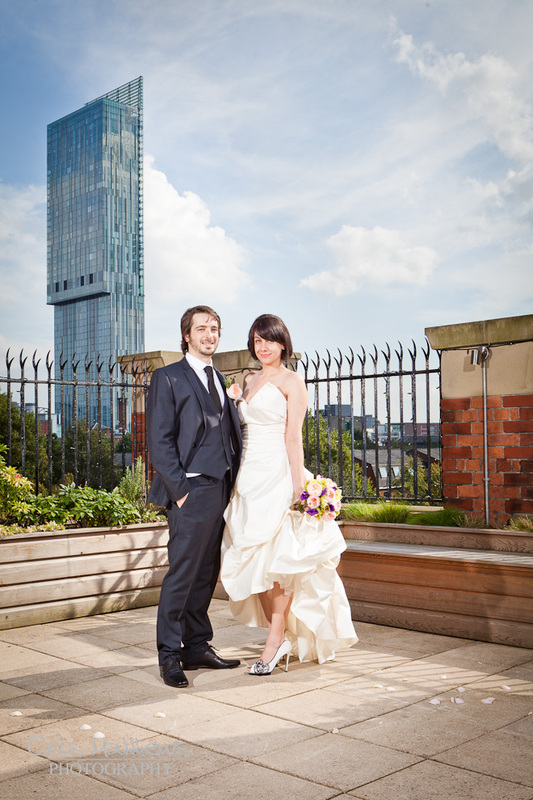 The West Tower will actually be the venue we kick 2012 off at, but in 2011 I was joined by the brilliant Neil Matthews (no relation) at Caroline & Graeme‘s wedding. 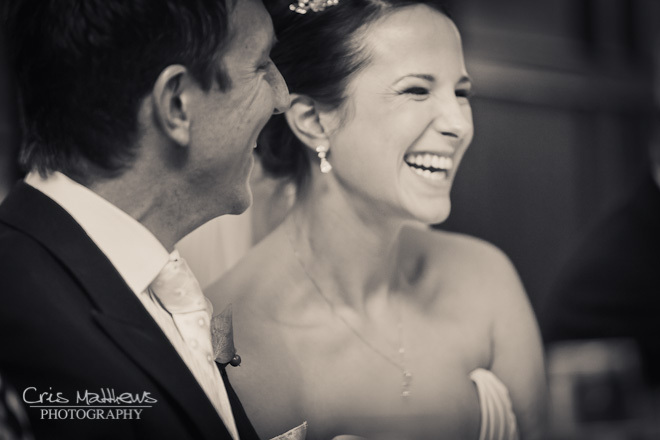 This is a shot Neil actually took, and it always reminds me to look out for moments like this at a wedding. I think it’s a great shot and I only wish I had taken it myself! 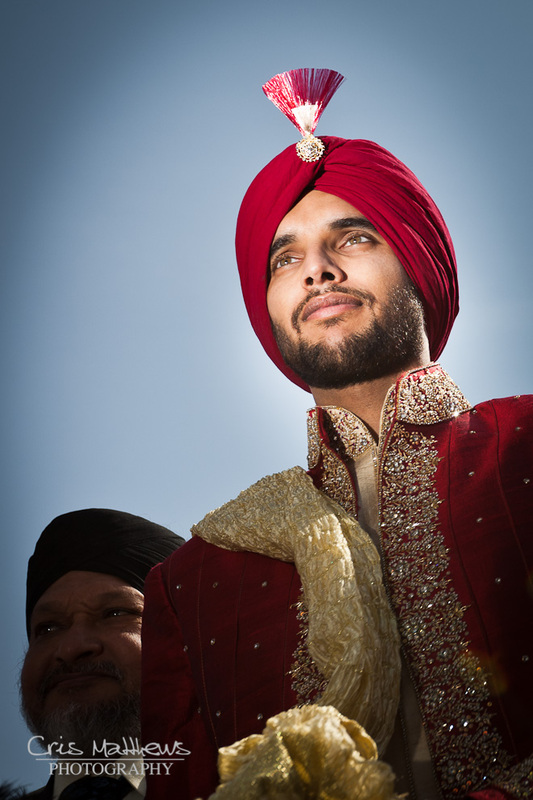 The first real first of the year was second shooting for Stephen Gormley at a Hindu wedding. It was a great experience and I had a fab time working with Stephen. The ceremony was amazing to watch, but it was the dress that really caught the eye. Just Wow! Ok, here is a photo I didn’t take and I wasn’t even at the wedding! 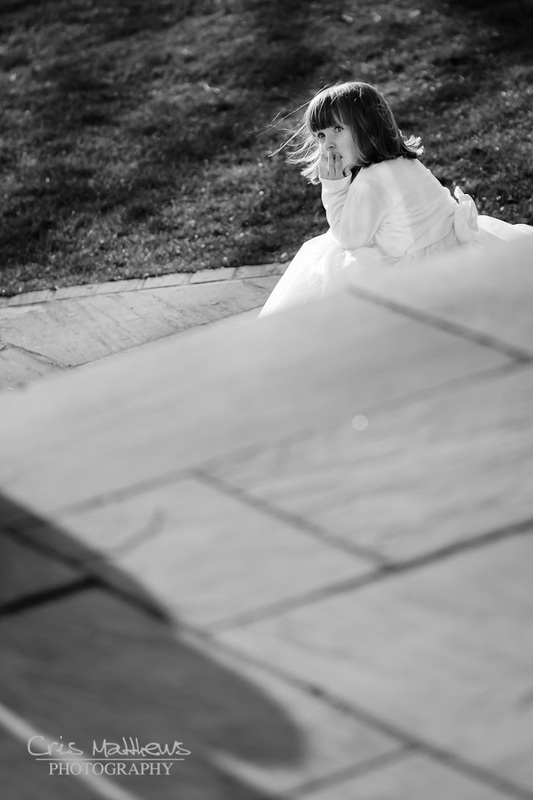 Nicola took this picture of Megan while photographing James & Liz’s wedding. James is her cousin and it was a great shame I had to be elsewhere photographing another wedding. Megan has a lot to do with the reasons I became a photographer, and it is also great to see Nicola capturing great moments on her own! Whilst Nicola was hard at work photographing her cousins wedding, I was joined on the first day of Dav & Raj‘s wedding by my friend Hayley Ruth. I love this picture of Raj as it reminds me that whatever the weather a little bit of flash can change the mood and add some much needed punch. I also think Raj looked stunning in the first of her 3 dresses! Taken on the 2nd day of Dav & Raj‘s wedding, this picture of Raj’s grandfather reminds me of what is important about weddings. It’s great to have all the family around you and practice the traditions that have been followed for many generations. I learned a lot about the Sikh faith. Here we see Kev giving away Lorna at her wedding to Paul. I like this shot not only because it’s a nice shot, but I worked for Kev back in the dark ages when I used to work for BT. I’ll always look back at my time as part of Kev’s team fondly, he is a great bloke to work for and did a top job of managing someone who clearly needed to go work for himself! Certainly one of my favourite shots of the year. 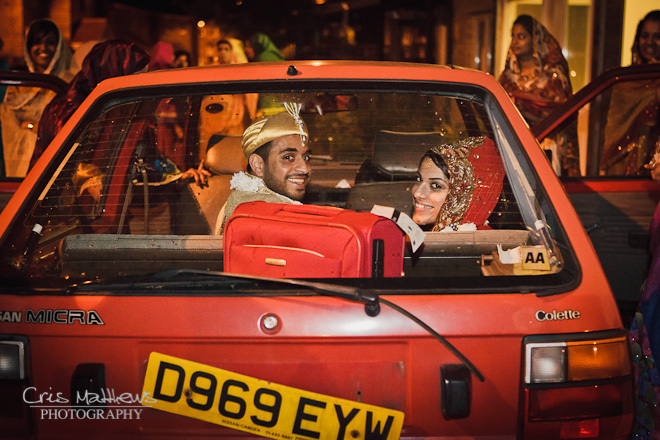 Taken way past midnight at the end of the first day of Zenab & Ali’s wedding. The family had been playing tricks on them after the ceremony and had blocked in the fancy wedding car they had hired. So after quite a wait, when they turned up in a Nissan Micra called Colette with it’s number plate hanging off I just had to get the picture. Still makes me smile just thinking about it. The following day was far more relaxed, no family pranks, just a lovely day and a cracking meal. This is why I like to take a walk with the new Mr & Mrs, it’s nice to get away from the wedding for 20 minutes or so, I think this picture sums that up quite well. 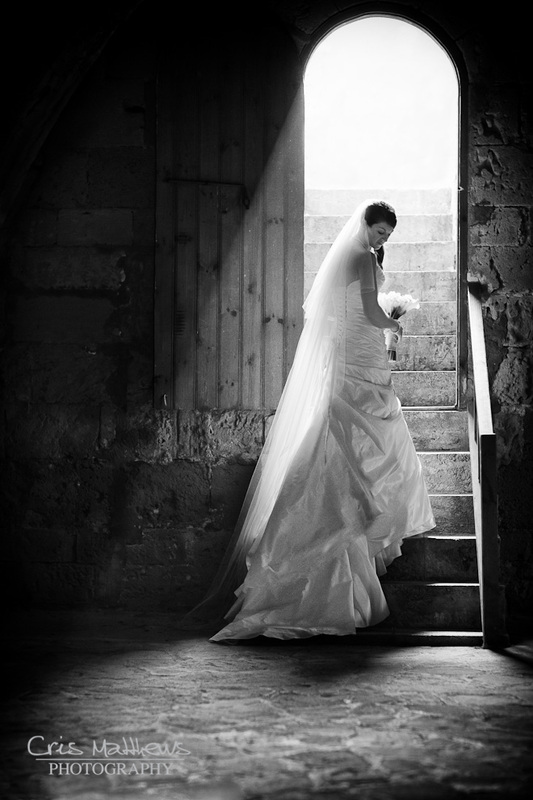 It seemed such a shame not to actually include a picture of Clare & Lee‘s stunningBolton Abbey Priory Wedding at this point, but you can see lots over on their blog post. 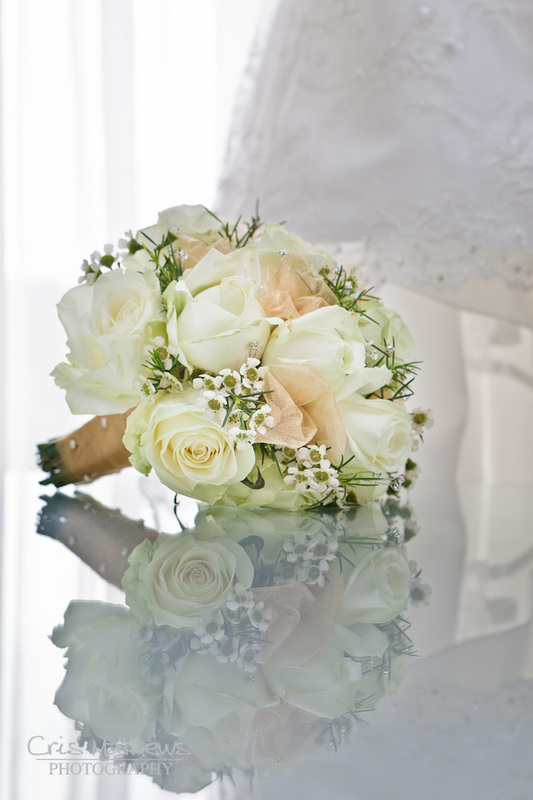 I think details are so important at a wedding, and this flower shot really stood out in my mind. It’s a pretty simple shot, taken on a glass table whilst the bridal party were getting ready around me. To get a bit of dress detail in there too was an added bonus. I was honoured to be asked along by fellow wedding photographer supremo Tobiah Tayo to run a photobooth at his wedding to Laura. The fantastic Lawsons did a terrific job of shooting the day itself along with Mark Lenik on video duty. 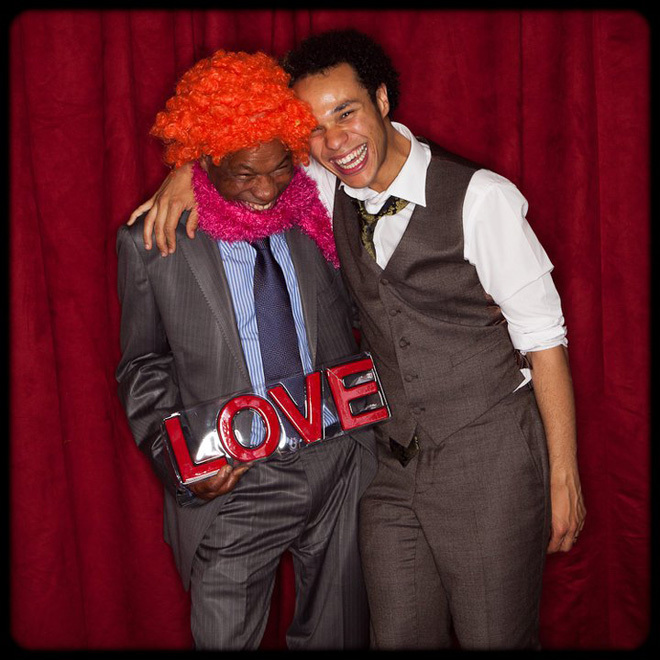 Out of the 900 or so shots I took this one of Tobiah and his Grandad is my favourite. I love doing photobooths, they are so much fun! Towards the end of May good pal and top Leeds Wedding Photographer Barnaby Aldrick asked me along to Rudding Park to second shoot with him. 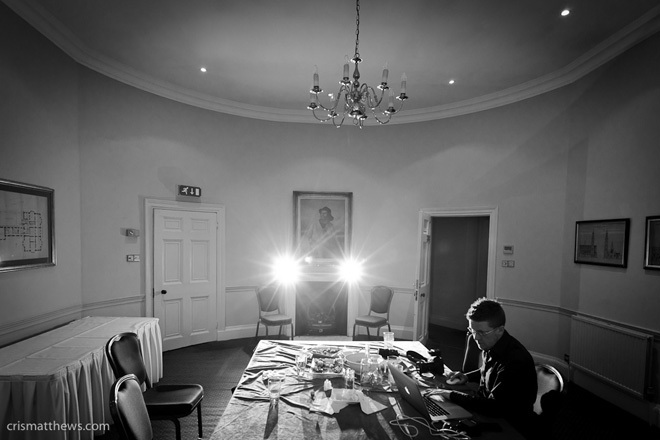 Barns has a crazy work ethic, and here we see him working away on the pictures while everyone else is eating. I was playing around with my flash guns to see if I could do something a little different for the first dance shot. I just like the way Barns looks so serious in this shot, those that follow him on facebook or twitter will know he is the least serious person ever! How stunning is Narda’s dress!!! I’ve been so so so lucky to photograph so many amazing dresses this year and I loved Narda’s brave choice of this short little number. I am using more and more ambient light in my work, and this picture shows a progression to looking for light and setting people against darker backgrounds. 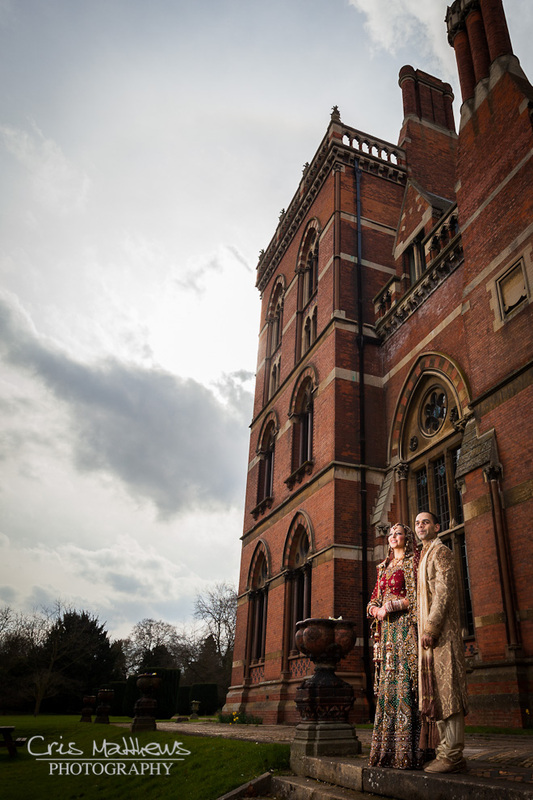 Richard and Narda got married at The Corn Exchange, which is one venue I really hope to return to soon. I wasn’t going to pick a “shot of the year” but I am going to and this is it! Lucy & Charlie flew Nicola and I out to Cyprus to photograph their wedding at Bellapais Abbey. Earlier in the year I treated myself to some new lenses, one of which was Canon’s simply sublime 85mm f1.2 I’m not going to bore you with the details, but take it from me this bit of kit is the real deal! For the first time with this lens I saw the shot, took the shot, looked down at the shot, and loved it right from the start. I knew from that point on I was going to have an amazing summer. I feel like I could write a whole essay about Lucy & Charlie‘s wedding (don’t worry I won’t). It was such a great week, If I could do it all again I would, right now! 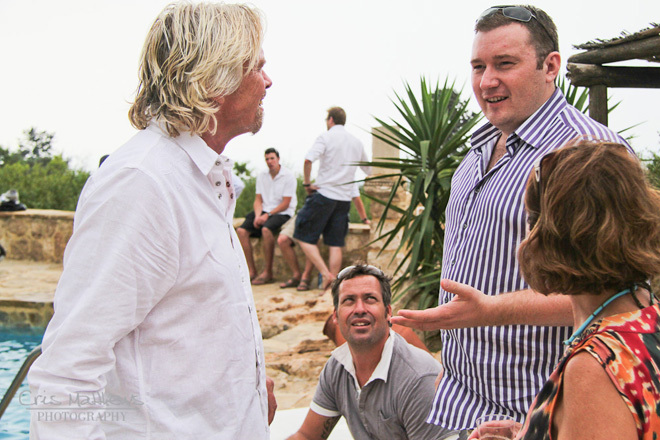 Lucy & Charlie manage Necker Island, which is Sir Richard Branson’s private island. It was a real privilege to meet him briefly at the after party the following day. 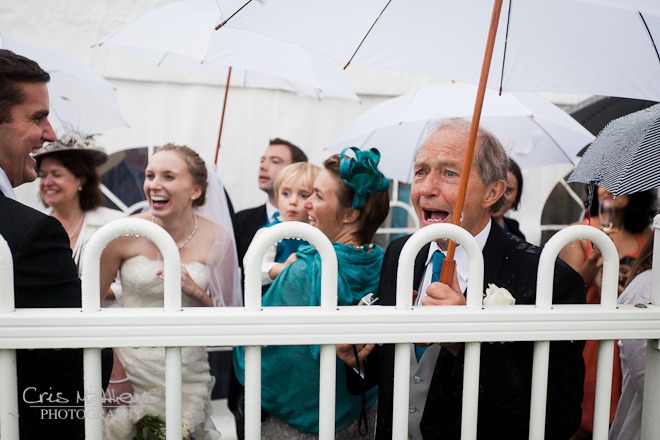 I am also grateful to ace wedding guest Alec Wilson for snapping the moment for me, Cheers Alec. Even after all these months, and looking over the pictures right now, I still find it hard to believe Nicola and I have been lucky enough to have highlights in our year like this. There are lots of moments I could have chosen from Beth & Gareth‘s wedding, but I really like this unposed shot taken as Beth was leaving for the Church. I don’t think I could have posed them any better. 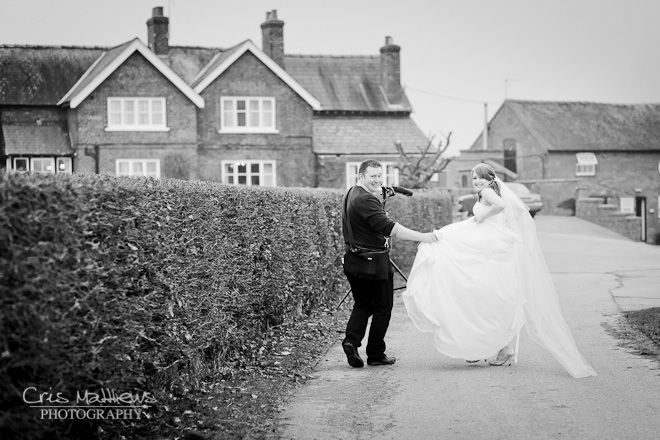 Beth had gone for a stunning dress full of detail, and magic shoes to match! We had a fab time at their wedding, we got on with everyone really well. Beth’s Grandad gave us a tour of the Masonic Hall during the reception too, a fascinating insight into this secretive club. Another shot not taken by me, but taken again by Tom Arber. I was really impressed with the commitment Tom showed in getting this shot of Rebecca & Chris. He climbed up an impressively huge tree then quietly asked me to pass him his camera. Well worth the possible broken leg and legal action! I’m hoping that Annabel doesn’t get too upset that I picked a picture of Greg from their wedding. 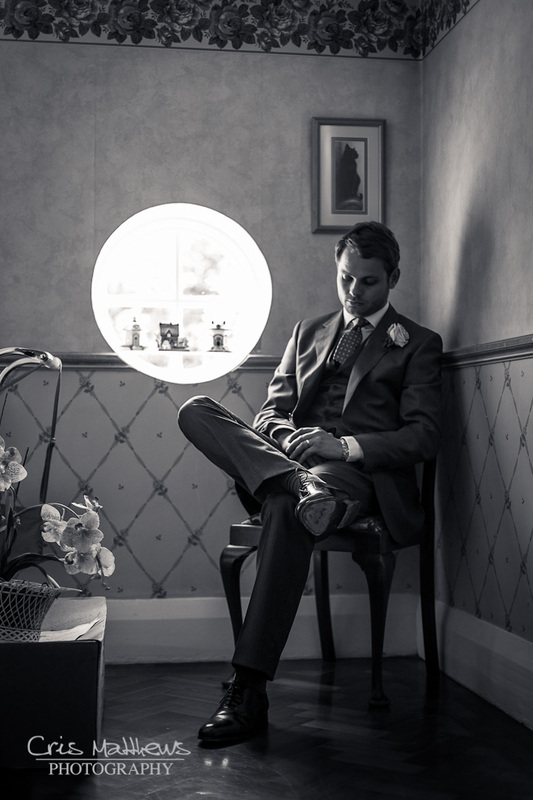 There are lots and lots of stunning pictures I could have chosen of Annabel, especially one of her coming down the stairs to meet her father which can be seen in their blog post, but I wanted to redress the balance and include a nice shot of a groom. I just really like this quiet moment captured during a busy day. Number 1 rule of photography? Don’t photograph women from below. Rubbish! I love super wide shots taken from floor level, and in such a fabulous room as this one at Solberge Hall it just had to be done. 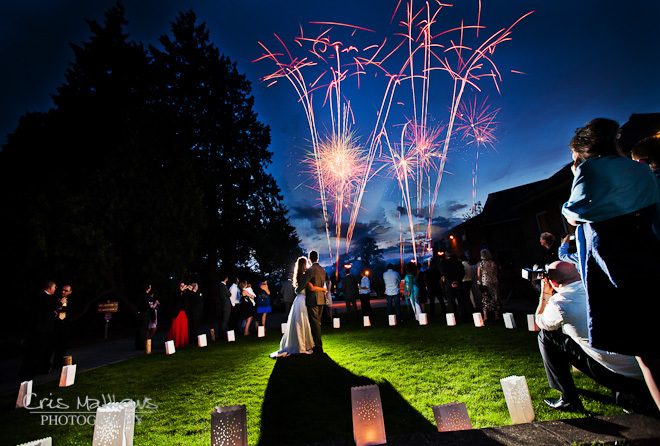 Abbie & Mark chose a wonderful location for their reception and I hope to return to Solberge this year if I’m lucky. 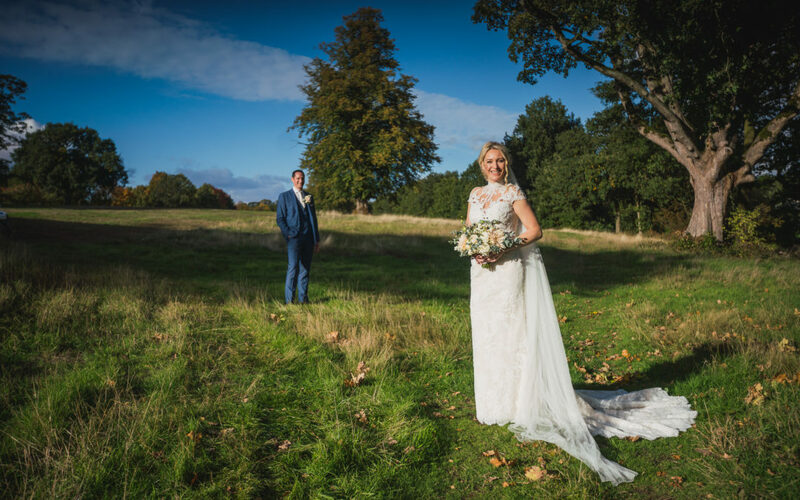 I had been waiting for a while for a PapaKata wedding enquiry, and when Katie & Leo got in touch I was very excited, and even more so when they booked. 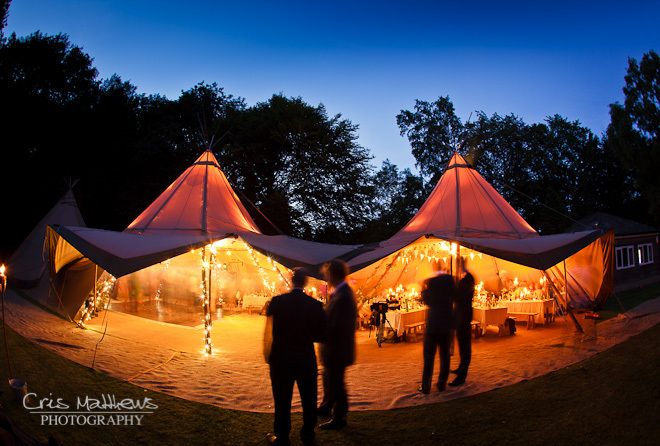 There are lots of really nice images from this wedding and you can see them on their blog post, but this is the shot I’d had in my mind all day and I think it just shows how fab a teepee wedding can be! Again it’s a real shame not to actually share a picture of Kate & Chris as they looked so so lovely, and Kate had done a fabulous theme for the day. 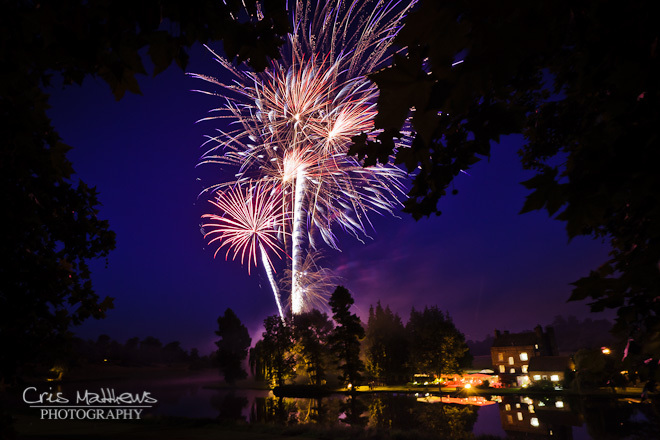 But, fireworks are a big deal for me this year and I was so happy with this shot taken at Brocket Hall. The reason I am so interested is that I have set up Matthews Brother Pyro along with my brother Nick to deliver displays just like this ourselves. It’s been a long burning ambition of ours to get to play with big boy fireworks and here we are finally doing it. This display was the icing on the cake for a fabulous day, set in amazing grounds it was the perfect British summers day. It was very very hard to pick just one picture from Abi & Andrew’s wedding, but this was a very close run second to being my “shot of the year” so it just had to be this one. We actually shot Abi & Andrew’s wedding on the day of my Grandad’s funeral, but he lived out in Spain so I wasn’t able to attend, I was determined to get some of my best work and I am pretty sure I did. So sure am I that I have put lots of them in my new Queensberry sample album, which I am still trying to do justice to so I can put some shots online. I’ve actually photographed Abi a few times since the wedding too, she has modelled hats & flowers for me and done an amazing job, I still can’t believe she is an accountant !!! When I asked top wedding photography newcomer Chris Milner along to second shoot Katherine & John’s wedding with me, I don’t think either of us was expecting the day to start quite like this. We both shot this moment, but this was my take on it. Katherine had picked out a superb dress, the detail was amazing, the flowers were also very original and were a theme that followed through the day. 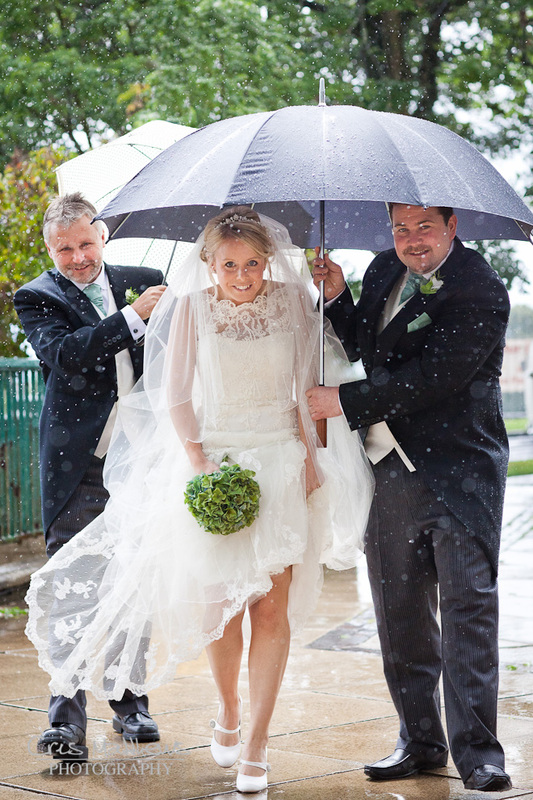 But it was the spirit of this wedding that impressed me the most, even this downpour didn’t dampen the spirits and we emerged to amazing sunshine after the ceremony! Hands down, no contest, Victoria & James’ first dance was the best of the year! I can’t even imagine how much time and effort had gone into it, but it paid off. 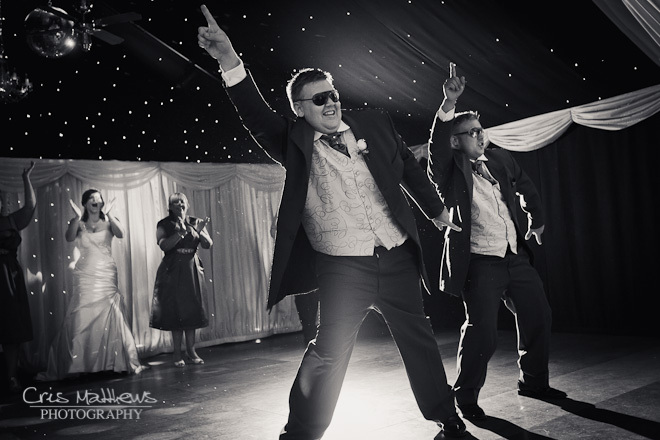 I had asked my budding photographer mate Andy Marriott along and he now thinks this happens at every wedding 🙂 They really gave it their all, to the point I felt like joining in myself!!! A rare rare treat in itself. This shot had to be in here! I was really happy with the way it came out. Caroline had told me that she was surprising Andrew with some fireworks half way through the first dance, which was to be held outside. It took me some time to come up with the solution, but I was happy with not just the technical aspect but the overall shot too. Just goes to show sometimes you really have to think hard to get the result you want. I love this simple shot of Liza stood next to her new husband Peter. I snapped it when walking to the back of the church during a hymn and I’m so glad I spotted it. 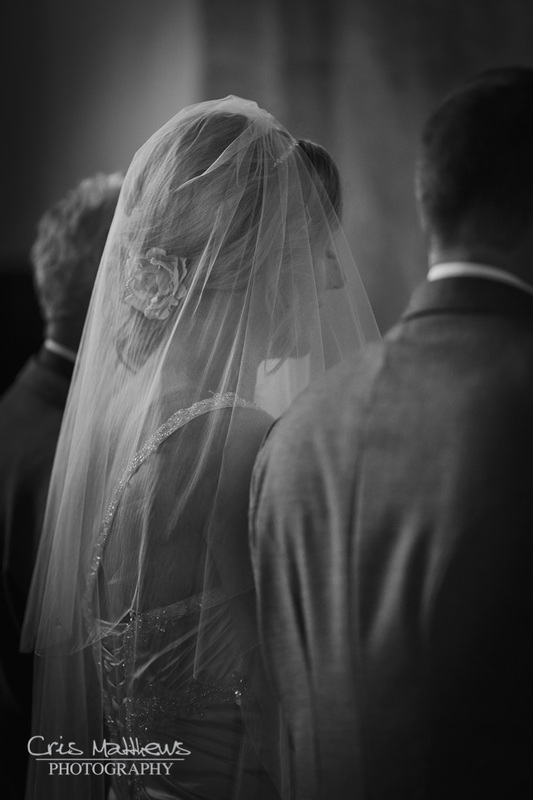 I love veils, they are a really important detail of the day I think. They seem to add a little drama to the occasion somehow. Bianca & Phil! What can I say! 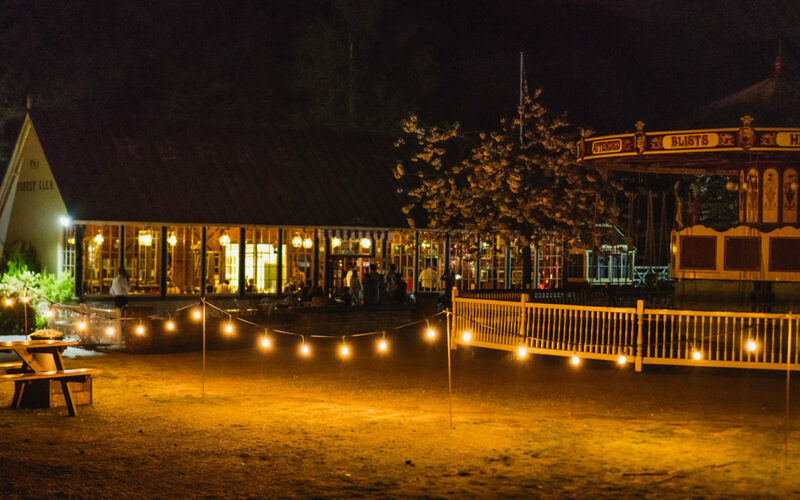 New Hall was a real highlight as a venue, we loved it. Every box was ticked. But it was Bianca & Phil that really made the day, Bianca is an Aussie and approached her day with every intention of enjoying every moment. From putting me on the spot asking for a boudoir shot during the bridal preps to dancing like a mad thing in the evening, her energy was infectious. Love it! Phil on the other hand had a cool calm collected air about him, a modern Mr Darcy I feel. 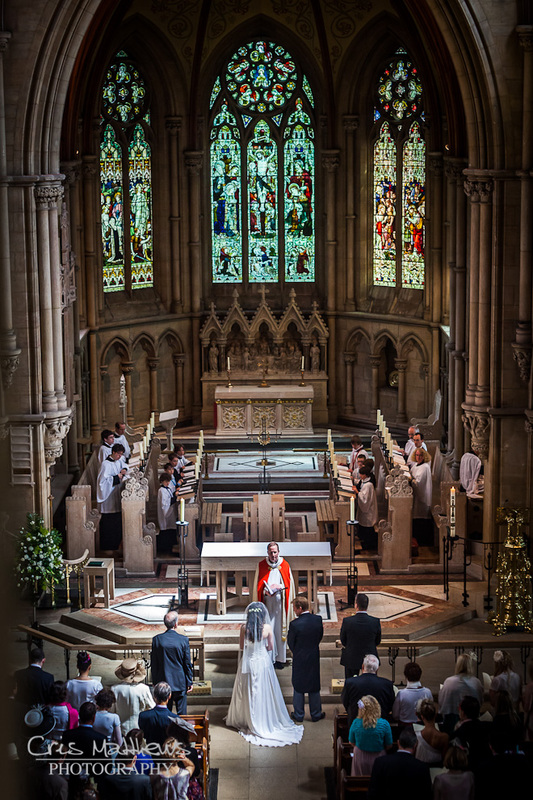 This is one wedding I would gladly shoot again and again. Alex & Simon put soooo much effort into their day, the main event was held on Simon’s farm. 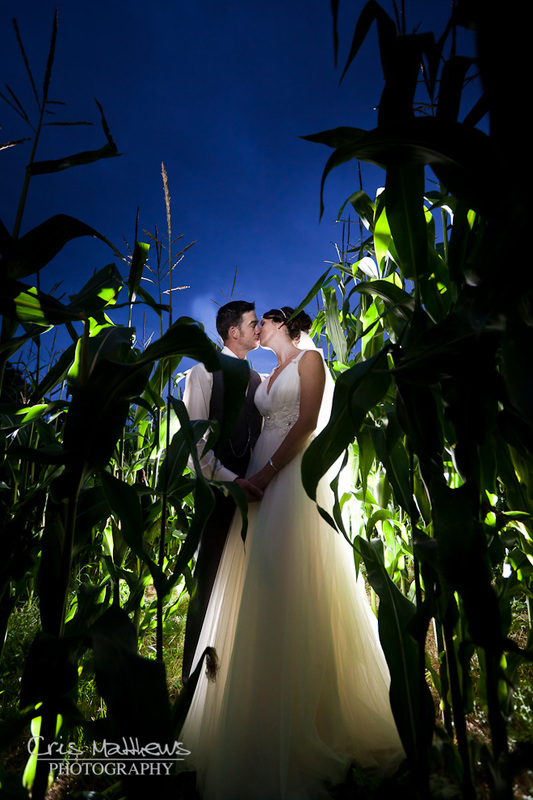 They had sown a whole field of maize and sunflowers in a pattern to go next to the marquee, and this is why I have chosen this picture. I could have picked so many others, as Alex had really gone to town with the Alice in Wonderland theme. I don’t want to get all soppy and that, I see people who are in love all the time, it’s my job, but when I think back these two were really in love. I like that, it’s a nice part of what I get to do. 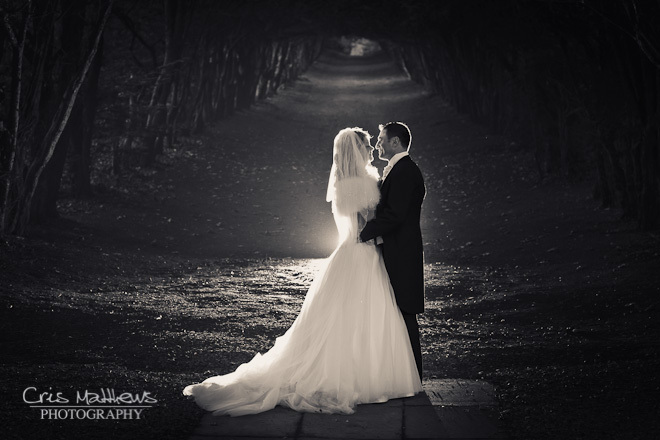 I took this at the end of the formal shot session with Sonia & Tom. I love the way this has come out, the sun was perfect and I was able to fill just the way I wanted to, so many times the sun isn’t out or you can’t get the background you wanted, but everything was just right out on the rooftop for this shot. Just great! 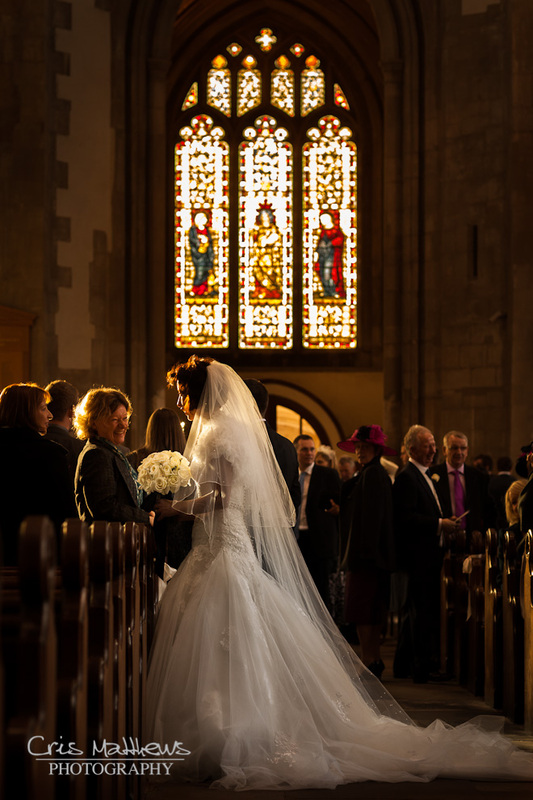 Again, shooting extremely wide and being very low really works for me, I think Lyndsey looked stunning and Craig certainly was a very lucky chap. I almost chose the famous tractor shot, but this one just took the edge! We had a lovely day at Sand Hole Oak barn again, the food is always fantastic. I have never felt safer in my life either, everyone I asked was a Doctor!!! 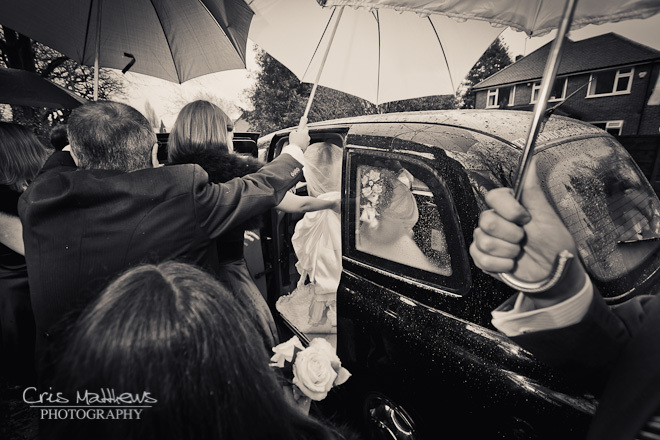 I know it doesn’t really look it but it was raining when I took this shot of Kathryn & Stuart. 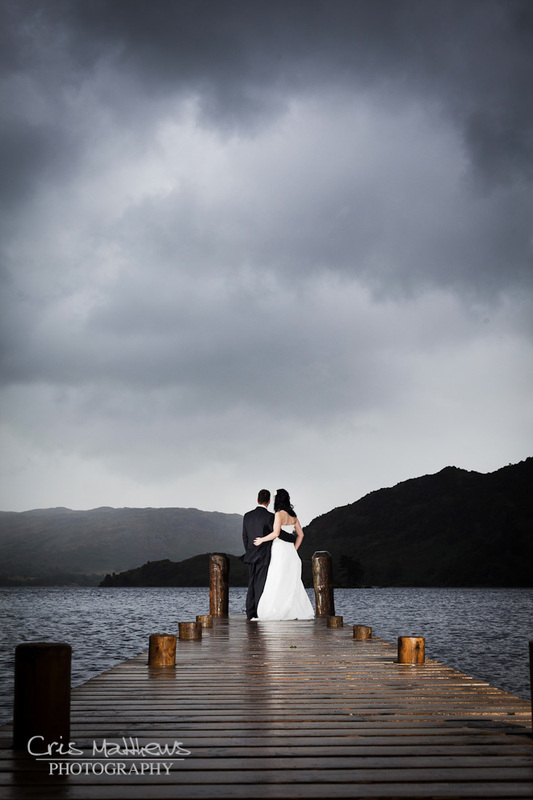 We had wrapped the equipment up in cling film and ran out to the jetty to get this shot over Ullswater. I’m really glad we did it too as it didn’t stop all day! The boat ride out on the lake was amazing, everyone got into the spirit and braved the bracing winds, with Kathryn leading the way without even a rain coat on. Loved it, wish we could go again! The first dance shot is something we like to get right, and for Helen & Paul I’m not sure if it could have got more right to be honest. In the bottom right you can see Helen’s Mum and their son. I’d like to say I planned it that way, but it was a bit of luck really. 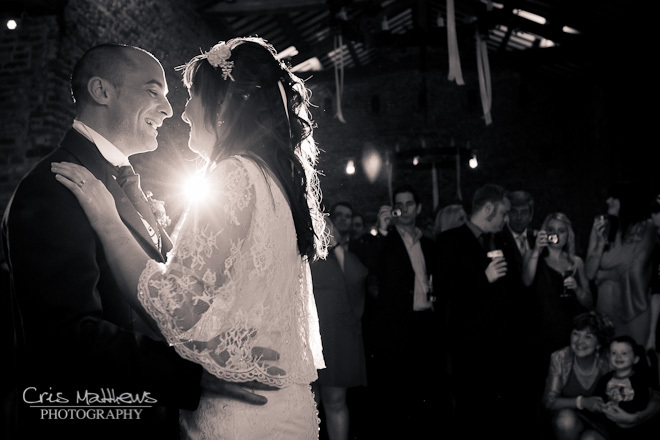 We always shoot the first dance in this way, in the hope you can capture some lovely faces in the background. We always get a great shot, but this time we lucked out with that little bit of extra special. Barony Castle! 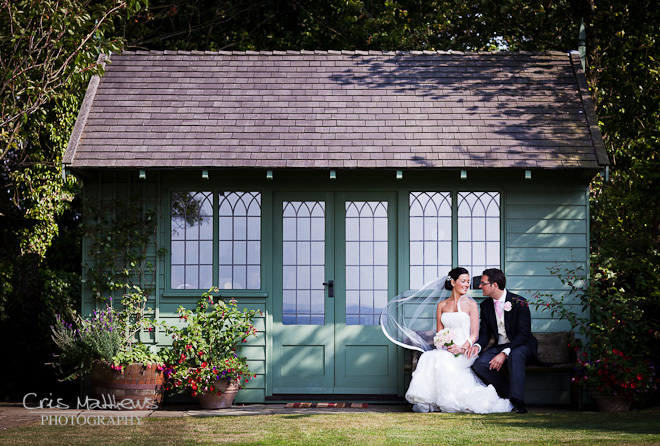 Lauren & Pete had chosen well, the grounds are what wedding photographers dreams are made of. I could have spent all day photographing this avenue. Lauren is a really good friend of Nicola’s so it was extra special to be there on their happy day. I’m just glad the Scottish weather was kind enough to let us wonder around the grounds and get the most out of the day. "Thinking of Cliff, or Tom"
This is the only picture I’ve ever given a title to. It’s a bit of a joke between my good pal Tom Arber and I. 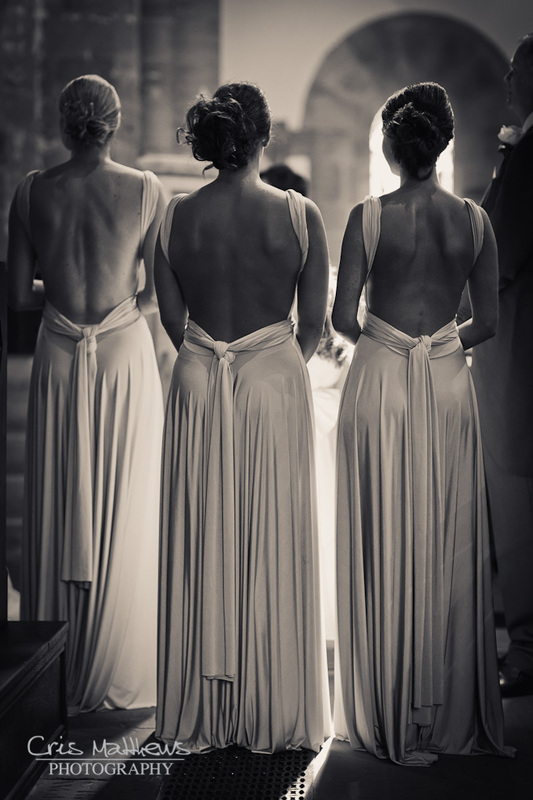 We love the work of one of the worlds best wedding photographers Cliff Mautner, and often have long chats about his work. So I was very excited when I took this shot which is very much in his style at the wedding of Carys & Richard, where I was second shooting for Hayley Ruth. The sunlight was just perfect for about 30 minutes, I wish this happened everyday! 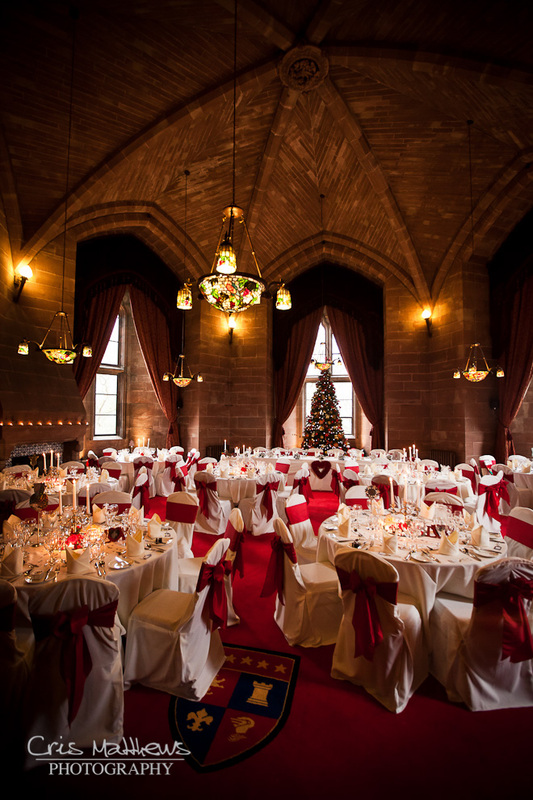 Danielle wore the most amazing Red Hollywood Dreams dress for Mike at Peckforton Castle, there are several pictures I could have picked. But I have gone for one of the empty reception room as I thought it was just the best one we’d seen all year. It was cold outside, but the room was warm and welcoming, it had a lovely Christmassy glow about it. In fact the whole Castle has this feel about it, the perfect place for a December wedding. Sam must have thought he had won the lottery when Tara walked down the aisle at Oulton Hall in this simply stunning dress. 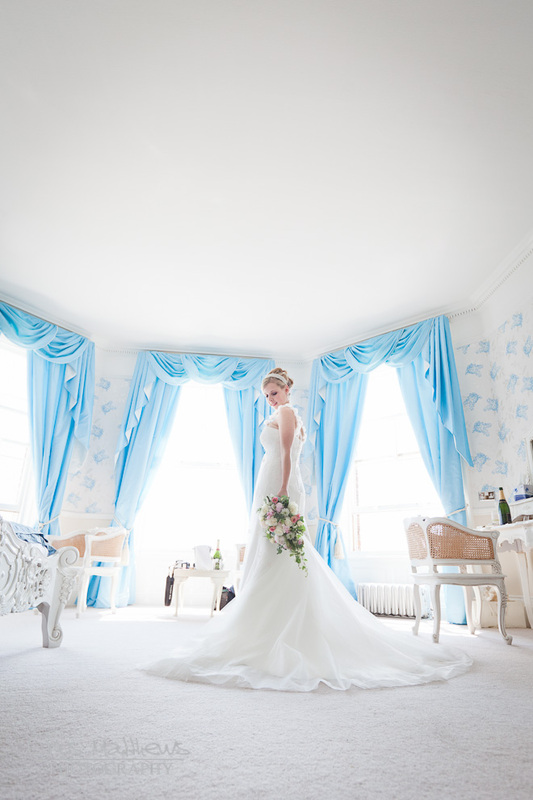 I’d never photographed a bride in anything but white before, then I get two jaw-dropingly amazing ones in three days! I took this on Tom Arber‘s spanking new 50mm f1.2 which is now on my Christmas list for 2012, I knew it was a mistake to borrow it for the day! 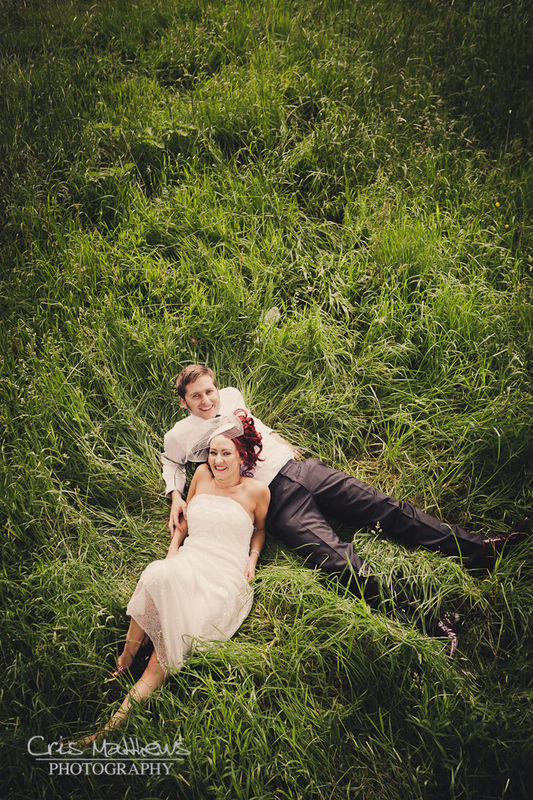 Sometimes lying in the middle of the road getting dirty is just worth it, and for Jill & Andy I really think it was. They had picked the Belle Epoque restaurant which is a fabulous place in itself but this cobbled street in Knutsford really did it for me. A pretty simple shot really, but one I am really really happy with. I wanted to finish on this shot. Again there were quite a few I was pondering about. I just really liked this shot of Vicki. 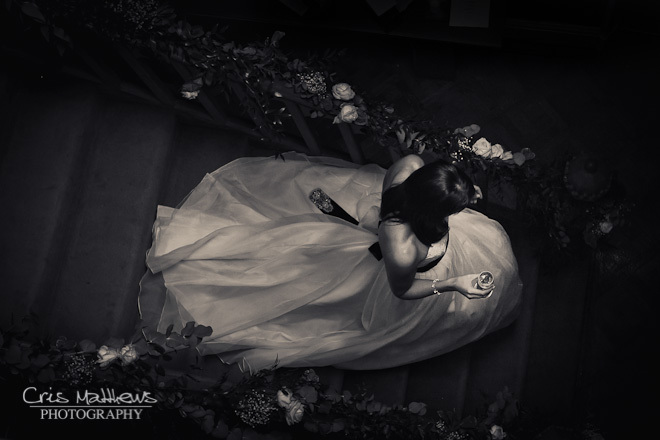 The stairs at the Didsbury House Hotel are a great feature and I was lucky to just catch this moment. It just goes to show not all the good photos can be planned. Unfortunately it was far too cold to go outside for Vicki & Danny but it all worked out in the end, and it was the perfect end to an amazing year. 2011 truly was an epic year! I have been so lucky to work with so many amazing couples at so many beautiful weddings. I have also been really lucky to work with some super talented photographers, I have learnt so many things over the past 12 months and I think that is reflected in my photography. I feel like a very lucky person at this point. Goosebumps at these, and this from the woman who has warned her boyfriend never to propose! Gorgeous shots Cris – talented, much? Such a fantastic collection of photographs – what an amazing year you’ve had. Simply brilliant work throughout. 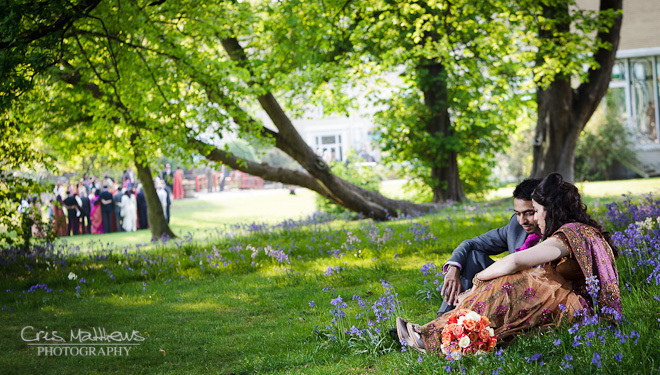 It was a pleasure to work with you and Nicola on Raj + Dav’s big day – hope we get to work together again this year. All the best for a great 2012 buddy! What an amazing post Cris, each one such a great shot. I hope you’re proud of a year of giving people photos that they can look back on with big smiles on their faces! What a humdinger of a year you’ve had Cris. Every shot is not just expertly crafted but also bursting with emotion. Here’s to a fantastic 2012. Such a fabulous collection of images Cris. It looks like you’ve had a cracking year – keep up the good work for 2012! Wow! Cris you are so talented, I genuinely love looking at your photo’s. What a year indeed. I remember filming some of them with you. You make it look so easy but your results are simply stunning. Outstanding work Cris. Brilliant collection of images from a fantastic photographer, all the best for 2012. A great year and a great collection of images Cris, lovely work and a pleasure to look through, love the portrait of Tara, keep it up for 2012. Chris thank you for putting the work in to bring us this amazing show case. 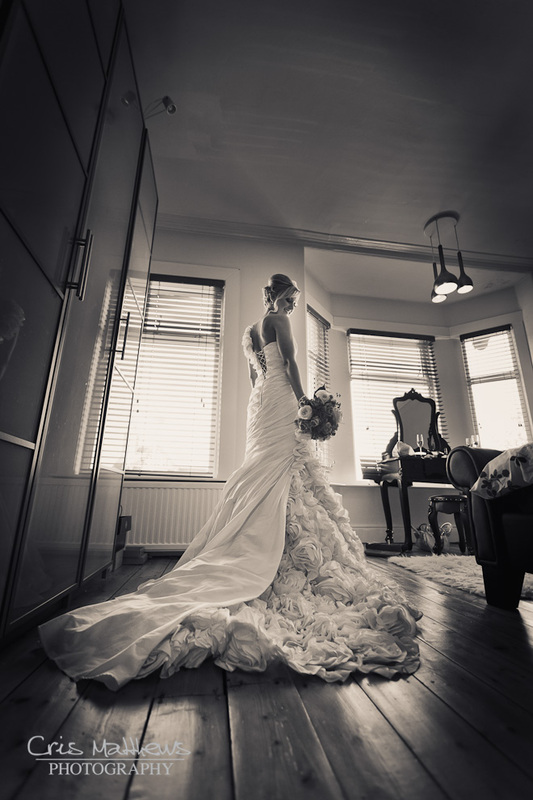 Your work is stunning, I love it and I’m sure your brides are over the moon with their images. 2011 looked like a pretty fab year for you and I’m certain 2012 will be even better. You really are at the top of your game. All credit to you. Wow Cris you had a freaking amazing year. You have some really memorable, stunning shots. I love the Indian wedding and your photo of the year. I’ll keep looking back to this post for inspiration! Great post you’ve certainly had a good year – here’s to 2012! AMAZING post Cris – well done you must be very proud of yourself – there are so many wonderful shots here! It make me miss our wedding day, wish we could do it all again! Such a great post for potential brides planning their wedding….all brides out there looking for a photographer…book Cris. NOW. Cris Matthews & team did an amazing job capturing our 3 day wedding extravaganza. 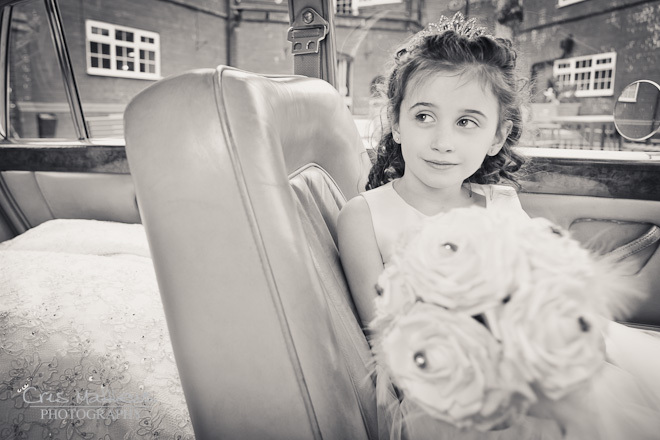 So many special memories were documented – so beautifully! I love Cris’s 3 favourite pictures from our 3 special days. 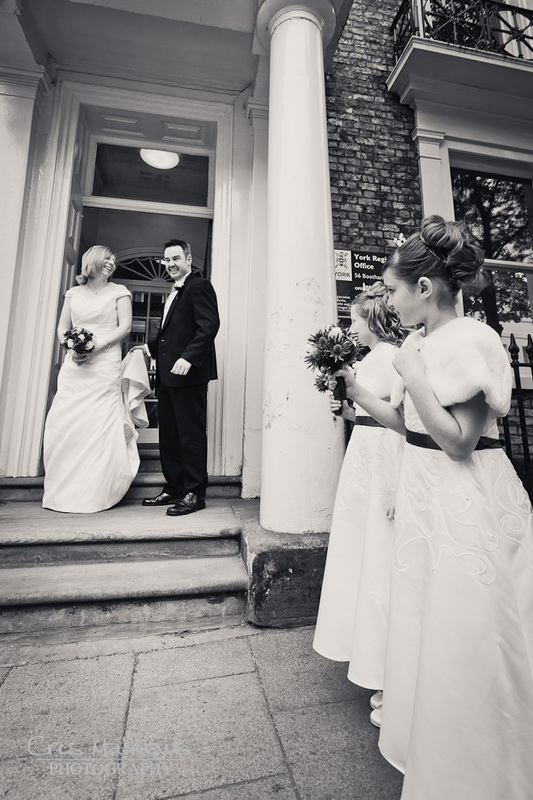 The picture of me in my white wedding dress is amazing- a daring idea of Mr Matthews. But it worked beautifully! 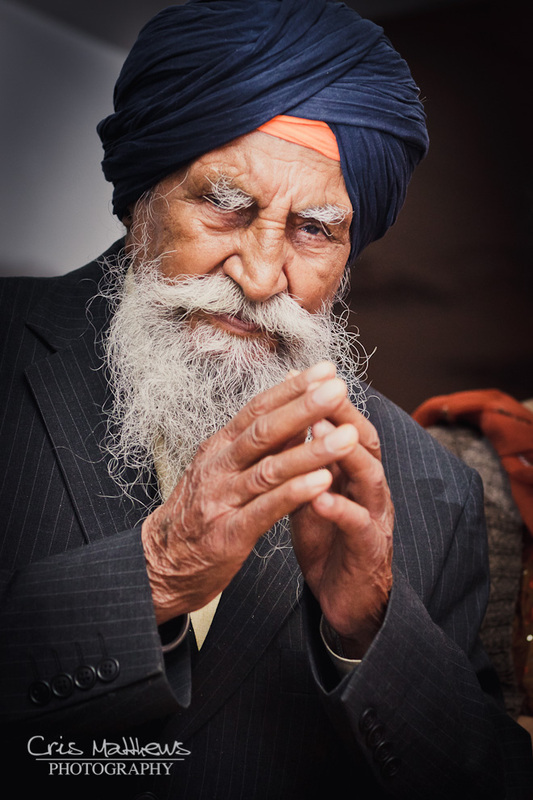 For me, the picture of my grandad symbolises the history behind the sikh tradition and the importance of my sikh heritage. Superb! I absolutely love the picture of Dav- by far one of my favourites! A huge thank for all your hard work over the 3 days!